April 24th: Action Day For Tolerance and Respect For Others. Cordiality- April 24th today is the day to act and spread joy! Wrong, ignoble and atrocious things and happenings around us-very bad! Or lower in position at office or outside! Addressing important! There was a time when I thought that I would never say this- “Time has proved to be a good friend.” However, it has. Years back, I could not trust time. I thought it hated me. It would never be good to me. But today, when I look back, I see that time took its time. Time took its time to set things right. When I gave myself some time, I started to see things differently. Time made me change my perspective towards things. I have made peace with myself of how time was yesterday, how it is today and how it could be tomorrow. It took a lot of time, but time did heal me. I can’t say that all of me has healed, but a major part of me that was hurt has healed. Time proved to be a good friend of mine. I have learned its value. And that’s why I have started to take one thing at a time. Read all parts of A to Z challenge 2019 here. Come, everyone! Clap your hands! Shout to God With joyful praise! Wishing you a delightful tuesday ahead, just like every other day. TAKE A CHANCE DAY-April 23rd. Many a time man fails to succeed in life as he is afraid of taking chances! Diligence. When we do not, we lose and close the doors for possible success! GLet us invoke God’s blessings and work towards achieving the goal! Sail away from the safe harbor, catch the trade winds in your sails. Explore. Dream. Discover. ~so said Mark Twain! Let us follow! Faith on God and religion. Free Transportation Today! EARTH DAY! Good morning Party People! Another glorious Monday morning. Mondays have been looked at as the worst day of the week. OVER 50% OF EMPLOYEES ARE LATE TO WORK: Comming up with a believable excuse to call out on a Monday is nearly impossible. Good luck with trying, being late is better than being absent. Today, Monday, April 22, 2019, is EARTH DAY! According to Gaylord Nelson, the moniker “Earth Day” was “an obvious and logical name” suggested by a lot of other people in the fall of 1969, including, he writes, both “a friend of mine who had been in the field of public relations” and “a New York advertising executive,” Julian Koenig. Koenig, who had been on Nelson’s organizing committee in 1969, has said that the idea came to him by the coincidence of his birthday with the day selected, April 22; “Earth Day” rhyming with “birthday,” the connection seemed natural. 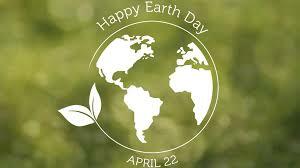 For more extensive information on the history of Earth Day please click Here. No need to TAP your card at all! Free rides are offered on buses, trains, and bike share bikes. The free rides begin at 4 a.m. on April 22 and continue until 3 a.m. on Tuesday, April 23. Moovit will get you wherever you are going on Earth Day. Here’s to a cleaner planet! Del Amo Fashion Center celebrates Earth Week with crafts, face-painting, balloon twisting, snacks, and more. The first 50 children at the event take home a copy of The Earth Book by Todd Parr. Space is limited; RSVP online. So. Many. Words. So. Many. Thoughts. Every day my mind is filled with words. Words that I would like to share. My thoughts about the world around me and the adventures I experience. My thoughts about the little things that delight my heart and the difficult things that make me grow. And thoughts about the … Continue reading Answering the Question-Where will I take this? I spend more time with myself than with other people. I listen to my thoughts and feelings more than those of others. I smile and laugh more for myself than for others. I do things that I want to and not what others want me to. I care about myself more than caring for others. I love myself more than I love other people. I live for more for myself than for others. I am selfish. Yes, I am. A goal of DSquared Homes For The Homeless is to update the face of mental illness, which doesn’t discriminate. Celebrities have more in common with society than many realize! Sometimes even Plutarch can wait. When you told assigned Brandon to this team, I didn’t know what to expect, but he was all that you said he was and more. I’ve never been on a more productive team and it’s all thanks to Brandon’s input. He really is a good egg. Johnny, the school yard bully, is a bad egg. Since April 21, 2019 is Easter Sunday, I figured I would look at a term that dealt with a theme of this holy day: eggs. Based on the title, this looks like a two-fer, but it’s really a three-for-one. There’s another type of “egg” that I’ll mention in the post, but it’s not a common phrase in the United States. What Is a Bad Egg? The term bad egg is used to describe a person or thing that fails to meet expectations (Martin). Much like people used to find bad eggs among those they purchased, a person or think might look good on first appearance, but they will disappoint in the end. A secondary meaning of “bad egg,” which is more commonly alluded to, strictly applies to people. Often, when someone says someone else is a bad egg, the first person is saying that the other person is corrupt, dishonest, unpleasant, or unreliable person (Dictionary.com). What Is a Good Egg? The term good egg is the exact opposite of a bad egg. Thus, when you call someone a good egg, you are acknowledging someone’s good character, dependability, and you are saying that you are fond of that person (Vocabulary.com). When Were the Terms ‘Good Egg’ and ‘Bad Egg’ Coined? The term “bad egg” was coined first, and various sources concur that it arose sometime in the mid-nineteenth century. According to an entry at Grammar Monster, the term “bad egg” first appeared in the novel Captain Priest by Samuel A. Hammett. (The Wonderful Adventures of Captain Priest was published in 1855, which is mid-century.) Some other sources cited the term as a bit of slang that came from English public schools, but it likely was inspired by food. As late as the early half of the 20th century, those who bought eggs would commonly find that they had rotten eggs among the lot. Even cookbooks from over 50 years ago advised cooks to crack eggs in a separate container so that a bad egg wouldn’t spoil the whole recipe. This was the problem people had to deal with because they didn’t have as many quality controls back then. It is rare now to have bad eggs in a package, unless one tries to use eggs after their expiration date. The expression “good egg” came about in the late nineteenth century, about fifty years after “bad egg” was recorded. Both terms started as public-school slang but “good egg” started as a “humorous inversion of bad egg” (Quinion). What’s Another Type of Egg That Applies to a Person or Thing? While I was doing the research for this post, I came across the term “curate’s egg.” This is not commonly used in the United States because many people don’t know what a curate is. In short, a curate is a member of the clergy who serves as an assistant to a vicar or parish priest. While curates are ordained ministers, they are “at the bottom of the priestly pecking order,” so they receive little pay and they have no job security. A curate may be a man or, in rare cases, a woman (Quinion). Now, the term “curate’s egg” comes from a George du Maurier cartoon called True Humility, which was printed in Punch, a satirical British magazine, on November 9, 1895. In the cartoon, the Right Reverend Host says, “I’m afraid you’ve got a bad Egg, Mr. Jones! The Curate responds, “Oh no, my Lord, I assure you! Parts of it are excellent!” (Martin). The cartoon led to catchphrases such as “Parts of it are excellent,” and “good in parts.” These catchphrases were recorded from early in the twentieth century (Quinon). What Does Curate’s Egg Mean? Two sources (Gary Martin and Michael Quinion) were the only ones I consulted for “curate’s egg.” Their definitions may differ, if only slightly. According to Martin’s definition, a “curate’s egg” is “Something bad that is called good out of politeness or timidity.” The original meaning of a curate’s egg was meant to describe something that, even if partly good, is ruined by its bad part(s). Today, the term is just used to describe something partly good and bad (like “a mixed bag”). Quinion also said that “curate’s egg” means that something is partly good and partly bad, so that is “not wholly satisfactory.” He said that the meaning is not “something discreetly declared to be partly good but in fact thoroughly bad,” but that definition would be the literal interpretation of the term. Maybe there isn’t much disagreement there. What do you think? “Bad egg | Define Bad egg at Dictionary.com.” Dictionary.com. Web. Retrieved 21 Apr 2019. <https://www.dictionary.com/browse/bad-egg>. “bad egg.” Vocabulary.com. Web. Retrieved 21 April 2019. <https://www.vocabulary.com/dictionary/bad%20egg>. “Good egg | Define Good egg at Dictionary.com.” Dictionary.com. Web. Retrieved 20 April 2019. <https://www.dictionary.com/browse/good-egg>. “good egg.” Vocabulary.com. Web. Retrieved 20 April 2019. <https://www.vocabulary.com/dictionary/good%20egg>. Martin, Gary. “A bad egg.” The Phrase Finder. Web. Retrieved 20 Apr 2019. <https://www.phrases.org.uk/meanings/53750.html>. Martin, Gary. “A curate’s egg.” The Phrase Finder. Web. Retrieved 20 Apr 2019. <https://www.phrases.org.uk/meanings/163300.html>. “The Origin of the Saying A Bad Egg / A Good Egg.” Grammar Monster. Web. Retrieved 20 Apr 2019. <https://www.grammar-monster.com/sayings_proverbs/good_egg_bad_egg.htm>. Quinion, Michael. “Curate’s egg.” World Wide Words.” 17 June 2000. Web. Retrieved 21 April 2019. <http://www.worldwidewords.org/qa/qa-cur1.htm>. Quinion, Michael. “Good egg.” World Wide Words. 25 May 2002. Web. Retrieved 21 April 2019. <http://www.worldwidewords.org/topicalwords/tw-goo1.htm>. Super User. “Hammett, Samuel Adams.” Texas Authors Institute. Texas Authors Institute of History, Inc. 14 Mar 2016. Web. Retrieved 21 Apr 2019. <https://texasauthors.institute/index.php/features/authors/e-h/h/hammett-samuel-adams>. Various Authors. “Good egg.” The Phrase Finder. 24 July 2005. Online Forum. Retrieved 21 Apr 2019. <https://www.phrases.org.uk/bulletin_board/42/messages/904.html>. The whole world is one family! What a noble philosophy! Yet the countries are in thousands following their own culture and tradition! And holding door-to-door processions, boys dressed as bears. On her seventh birthday, her friends printed a large monochrome map and stuck it to the wall opposite her bed. “So you can colour in all the countries you’ll go to,” they said. Ten years on, she had half the countries coloured in, with special photos and momentous add on and around the map. Only one corner remained clear, and it was the space her friends signed a birthday note to her when they first gave her the map. She smiled, gave the latest a photo a pat to make sure it stayed and place, then picked up her souvenirs and walked out her room. It was time to catch up with some old friends. If you have any suggestions for prompts that you would want me and other participants to write on, do tell in comments section. Interpret the prompt the way you like and write a piece of prose or poetry, fiction or non- fiction, anything that suits you. There are no length restrictions. Copy the URL of this post. Type “Let it Bleed Challenge” in your blogpost, select it and click on the ‘Insert link’ icon in the formatting bar. Paste the URL of this post in the space provided under URL. You are all set to publish your post! Please do come back to this post to make sure that pingback has been created successfully. If you aren’t able to create pingbacks, drop a comment with the link to your post so that we can read it. Tag your post letitbleed to make it easier for other bloggers to find it in the Reader. Read other participants’ work and let them know your views. Make sure that you post by Saturday so that I can add your piece in the weekly round-up.